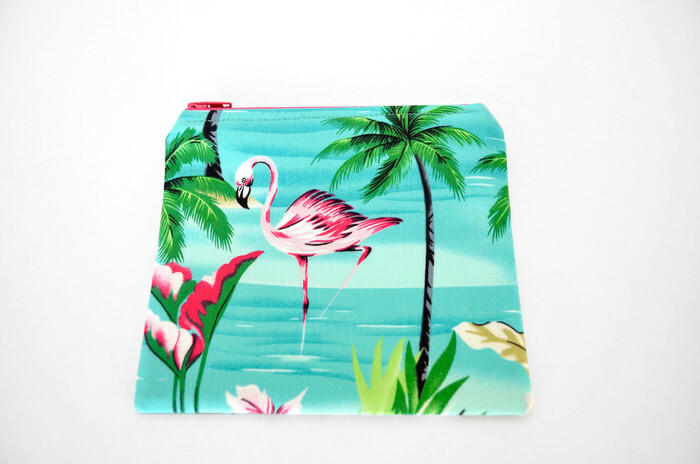 Pink flamingo, palms and aqua blue sea, what a glorious picture! 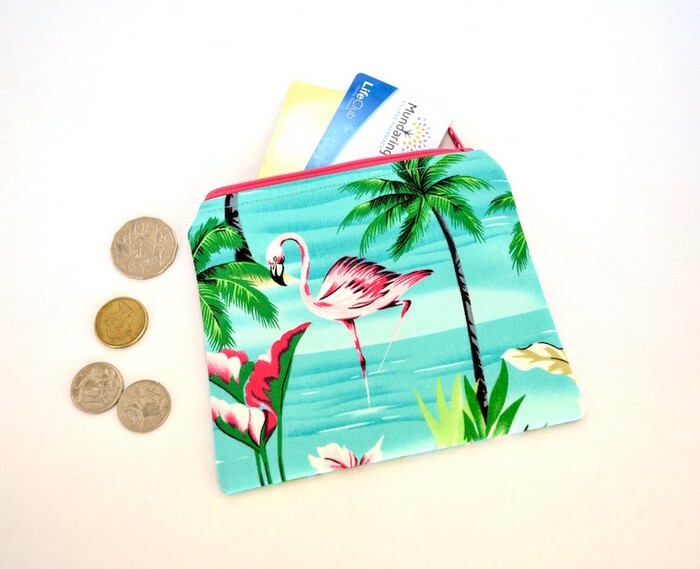 This coin purse makes a beautiful small gift. 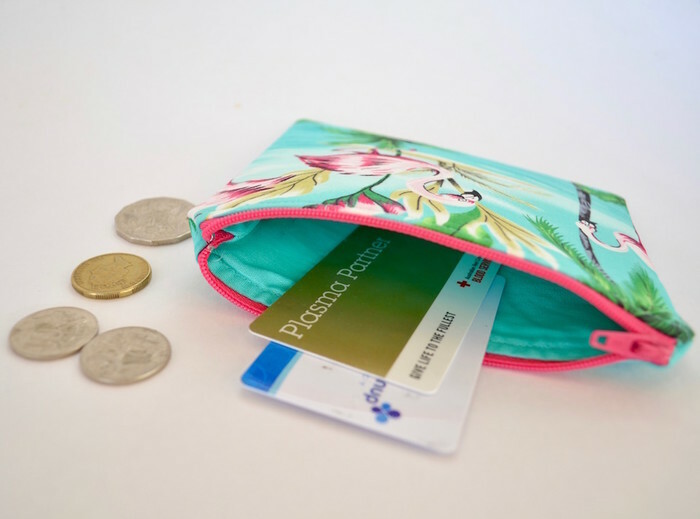 Perfect for carrying small change, hair clips, earbuds, credit cards, membership or business cards. Made with all cotton fabrics (outer and lining) strengthened with heavy weight stabiliser. Closes with a hot pink nylon zip. 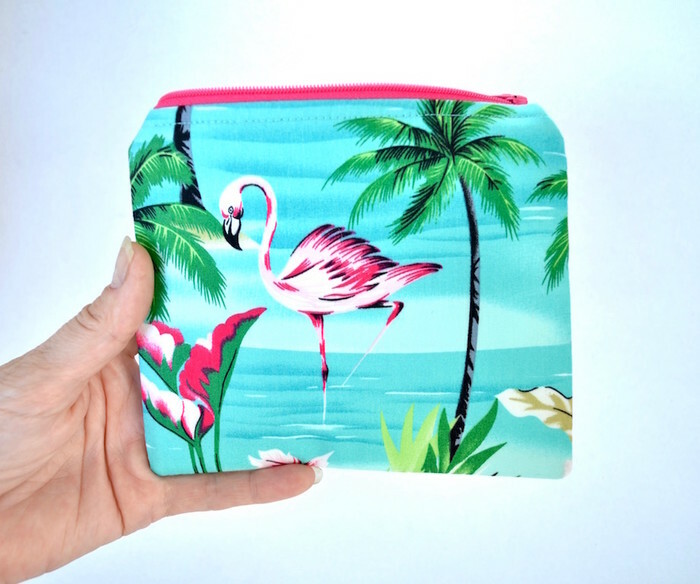 Due to fabric pattern your purse may not look exactly as pictured. Hand wash or gentle machine wash recommended. All fabrics were pre washed to eliminate dye run and shrinkage.